Fixed tines with NO cam of moving parts. No maintenance to the pickup system. Top mounted hydraulic driven feed roller and wind roller. Does not put soil and stone into swath. Small diameter pick-up,, very good in light crops. Up to 28 Km/h forward speed. Elastic flexible pick up to follow contours. 4 rotating wear skids to keep accurate tine height to ground. Full in cab control system with speed control and direction of belt. Reduces wear on Forager with no stones or soil in swath. 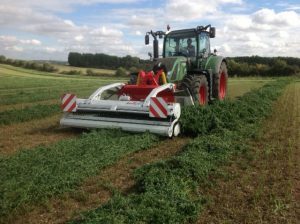 Increase output of balers and Foragers with swath not being knotted and lumped together like with a rotary raking system. 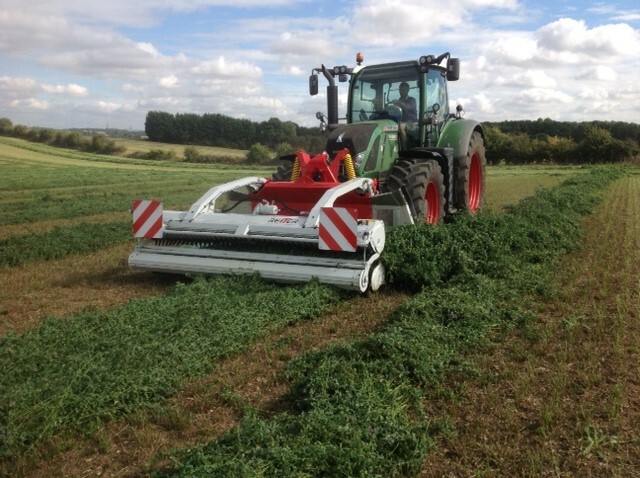 2 contractors have now told me this will transform there harvesting output on grass and straw. They also said that they could up sell the investment to there customers on the extra quality of silage with no soil or dust.